Please take a look at our Frequently Asked Questions. If you have any further questions please do not hesitate to contact us and we'll be happy to help. Call, text, e-mail, message us on Facebook, or compete our on-line enquiry form. We will get back to you within the hour to discuss your needs. We offer a 24/ 7 telephone service for your complete peace of mind. All guests £30 per night with check-out on their final morning before 12 noon. If you wish to pick your dog up after 12 noon this can be arranged for an additional fee of £30. If you have arranged an afternoon pick-up you can pick your dog up anytime before 8pm. We charge £60 per dog for Bank Holidays. Once your booking has been confirmed we ask for a 20% deposit to secure your dates. Your deposit can be paid by bank transfer to our business account. We ask that your deposit is paid within 7 days of receiving your booking details. If we do not get your deposit within the seven days, we will offer your dates to other customers. We do not send out reminders. If for some reason you can not pay your deposit within the 7 days, please contact us by e-mail to discuss. How secure is your Dog Hotel? 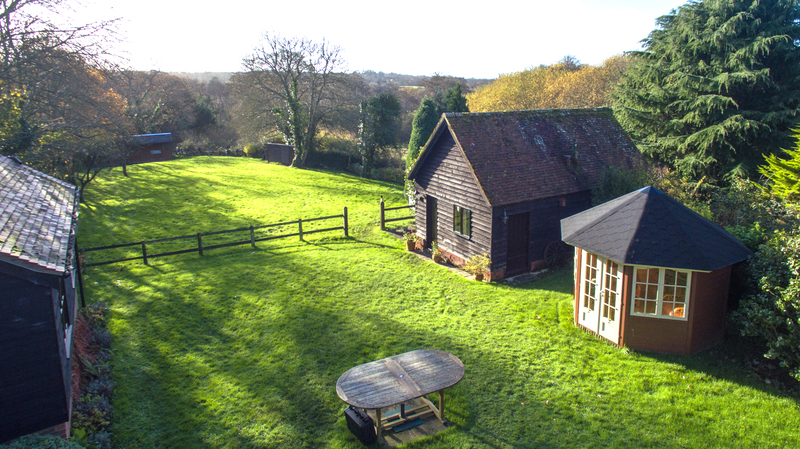 Our property is located in The New Forest National Park. Take a look at our map for details. Our property is fully enclosed by a 6' fence. We also have a 24 hour CCTV system to further protect your fury friend. Are all dogs suitable for home boarding? We have learned though our experience of boarding dogs that our home is only suitable for friendly, family dogs. We are happy to accommodate dogs older than one year as long as they are house and/or cage trained. We are happy to accept all breeds as long as they are obedient, non-destructive, and non-aggressive and have a calm and gentle nature. We do not accept in-tact male dogs or un-neutered female dogs. We do not accept incontinent dogs, dogs that chew furniture or other household items. If you are unsure about your dog's suitability, please contact us, and we will be happy to discuss your dog, and if we can accommodate your needs. Can I visit the hotel before the booking starts? Yes, certainly. In fact, we insist upon it. A ‘Meet and Greet’ offers piece of mind, not only for you, so you know your dog is in safe hands, but also for us. It’s a great opportunity to complete your dog’s pre-check in and record details of vaccinations, meal times, etc. Yes, certainly. We understand that booking your own holiday can be tricky, especially at peak times of the year. We are happy to hold a provisional booking for 48hrs to allow you time to check and confirm your own holiday with your airline and hotel. If we do not hear from you after 48 hours, your dates will be released for other guests. When will I need to pay for my booking? Once you and your dog have attended the ‘Meet and Greet’ and you are happy to proceed, we will create your booking. Once your booking has been sent to you, we ask for a 20% deposit to secure your dates. Your deposit can be paid by bank transfer to our business account. We ask that your deposit is paid within 7 days of receiving your booking details. If we do not get your deposit within the seven days, we will offer your dates to other customers. We do not send out reminders. If for some reason you can not pay your deposit within the 7 days and would still like your dog to stay with us please contact us by e-mail to discuss. The balance will become due when you check-in. Most of our owners prefer to pay the whole amount up front at the time of booking. This can speed up your check-in and help ensure you get to your own destination in plenty of time. Does the time that I leave or collect my dog affect the cost? We charge by the night, you can check-in anytime after 11am. Check-out is anytime before 12 noon. This allows us time to prepare for the arrival of new guests. An afternoon check-out can be arranged for an additional £30 per dog. If you arrange an afternoon pick-up you can pick up your dog anytime up to 8pm in the evening. What happens if I do not turn up for my booking? If you do not turn up for your booking, or cancel giving less than 24 hours notice the total fee is due as per our cancellation policy. This will be charged to the credit/debit card that you used to pay your deposit. Cancelling within 2 days of check-in – 100% of the fee is payable. This will be charged to the credit/ debit card you used to pay your deposit. Cancelling within 14 days of check-in – 50% of the fee is payable. This will be charged to the credit/debit card you used to pay your deposit. Cancelling at any other time – 20% (your deposit) is payable. If you have paid your deposit in cash, or by cheque, any additional charges will be invoiced accordingly. What happens if my return flight/ journey is delayed, can I leave my dog later than agreed? Yes, certainly. We understand that flights are sometimes delayed. Rest assured, as long as you inform us by text, phone, or e-mail message we can extend your booking up to 48 hours. There will be a charge for every additional calendar day, and payment is due on collection of your dog. Can I collect my dog early? Yes, certainly. If you return from your holiday early, for whatever reason, and decide to collect your dog before check-out this can be arranged. Please text, phone, or e-mail us in advance. No refunds will be due. Yes. Your dog should always have its annual vaccinations to protect it against infections and disease. The vaccinations that are required by all dog boarding facilities are distemper, hepatitis, parvovirus and leptospirosis. Kennel cough vaccine is not a compulsory requirement, but it is recommended. If your dog has not been vaccinated in the last 24 months, you will need to visit your vet for a booster. Booster vaccinations need to be given at least 14 days before check-in. You will also need to bring your dog’s vaccination card to the hotel as proof that your dog’s disease protection is up to date. You can get more advice on vaccinations from your vet. We will accept a veterinary certified titre test in place of vaccinations. Please provide the certificate before you board your dog and ensure that it is valid for the total period of stay. What will I need to provide for my dog during their stay? We want your dog’s stay to be as stress free as possible. We provide all beds, but bringing your dog’s blanket and usual food for the duration of their stay will provide some continuity and help ensure a quick settling-in period. If your dog has special dietary needs or medication we are happy to oblige. If your dog eats fresh food, you will need to cook these and provide the food in freezer bags that can be defrosted each day. We have a dedicated freezer for dog food. What if my dog becomes unwell, or injured whilst staying at the New Forest Dog Hotel? In the unlikely event that your dog becomes unwell, or injured during their stay, we will keep you informed via telephone, text or e-mail. Our local vet is only a short 10 minute drive away. Rest assured, your dog’s stay is covered by our superior insurance provided by PetPlan Sanctuary which covers you for up to £1250 of vet fees during their stay. We are registered with Pilgrims Veterinary Practice, Gorse Farm, Blissford Road, Fordingbridge, Hampshire SP6 2JH. My dog usually sleeps on my bed - do you allow this during my dog’s stay? For hygiene reasons, we only allow your dog to sleep in their own dog bed. I would like my dog to be let off the lead; will you allow this? In the interests of safety, we do not allow dogs off the lead whilst on walks. Dogs often miss their owners and have been known to run off to look for them as soon as they are let off their lead. We do however have an acre of enclosed pasture where we let the dogs off to play and run safely.